Single Track Mind – Thoughts from last summer. The Spine, Wasatch Crest Trail, Utah. 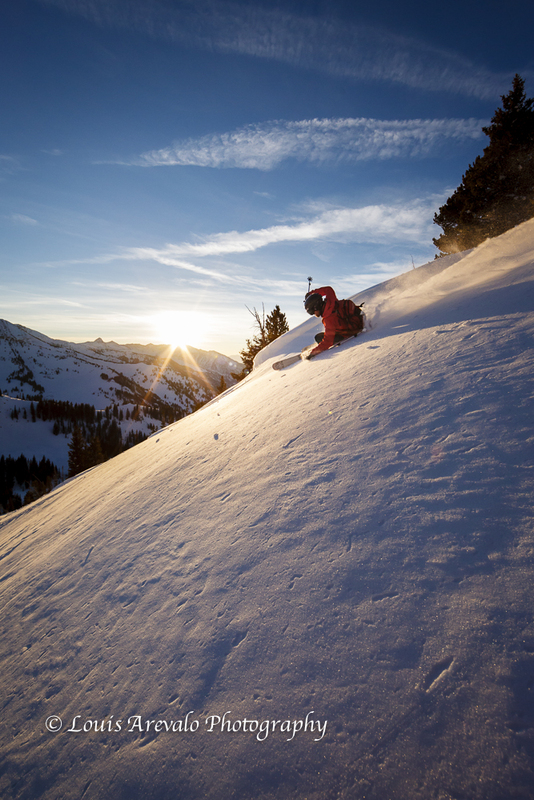 Macky Franklin chases the sun in the central Wasatch Range. There was a three to four-year period in my life where I spent about 30 hours a week on a bike. In addition to racing at the amateur level I worked and went to school full time. I didn’t do well at any of it so eventually I eased back from the wheels and stopped shaving my legs. 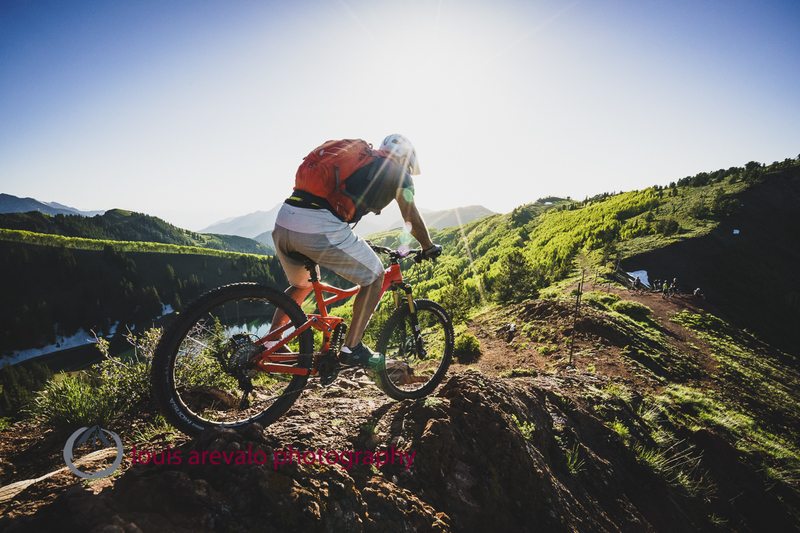 A few weeks ago Osprey Packs called and asked if I would be able to create some new imagery with two of their enduro mountain bike ambassadors, Syd Schulz and Macky Franklin. As luck would have it Syd and Macky were heading through the Wasatch on their way to a race in Sun Valley. So I offered them our spare bedroom and omelets for breakfast and they were keen. 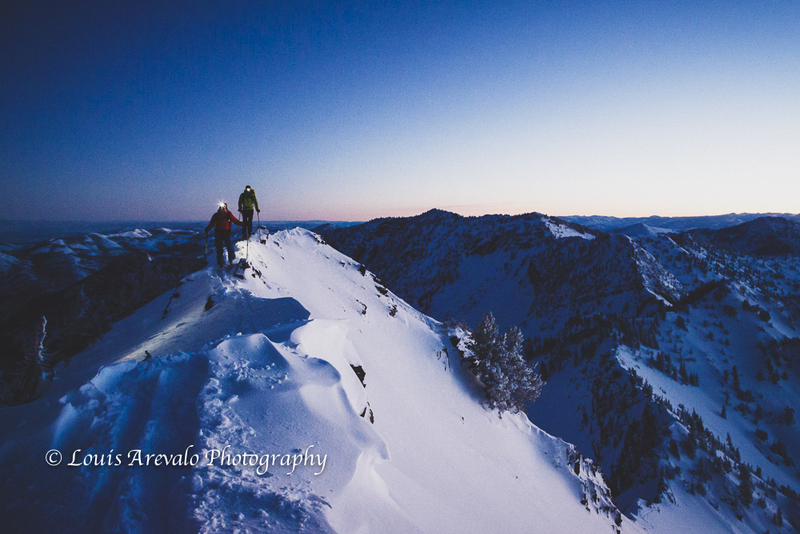 Syd Schulz and Macky Franklin take in the central Wasatch Range from the Wasatch Crest Trail, Utah. We planned for two rides. 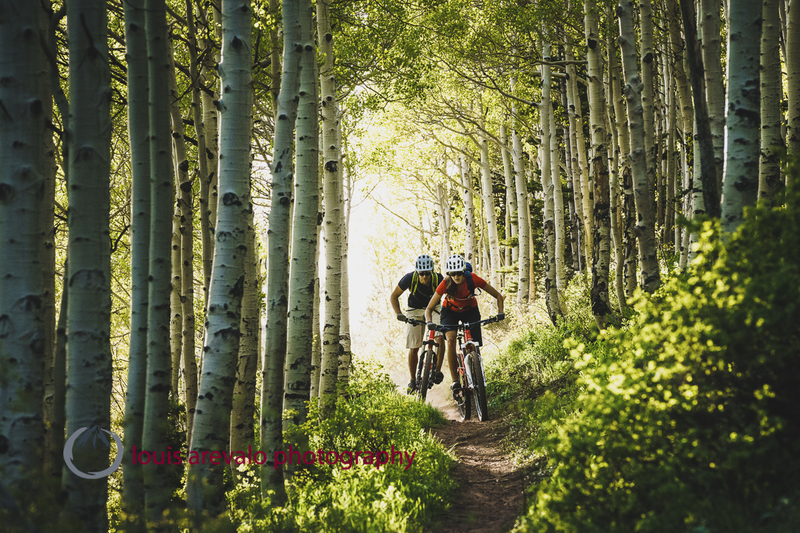 One afternoon would be the Crest Trail, a Wasatch classic, and the second would be a few laps riding lifts at Deer Valley Resort. This would be ample time to make the images needed. I’ve been fortunate to meet through life and work people who are talented and psyched to be doing what they love. It’s worth noting that yes, they are paid to participate in their sport, but that’s only part of the picture. As with most the athletes I know the “doing of the sport” is only half of their job. Syd and Macky are no exception and are not afraid to work. 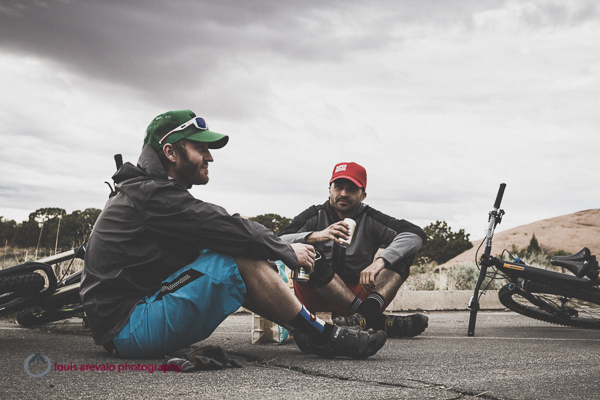 As we waited for afternoon to arrive and better light Syd and Macky were busy making calls, writing blog posts, building newsletters, making travel arrangements, and sitting down with local sponsors before we finally drove up Big Cottonwood Canyon and began pedaling at 5PM. Tis but a scratch. 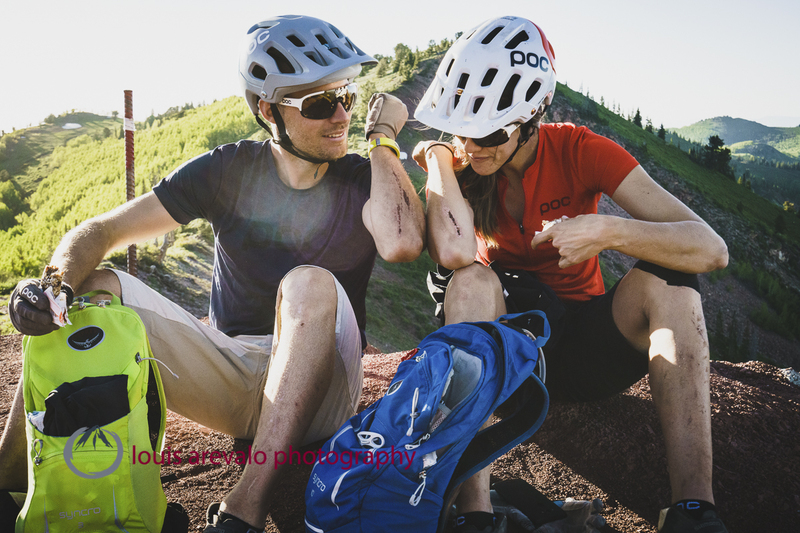 Macky Franklin and Syd Schulz compare trail rash, Wasatch Range, Utah. The Crest Trail runs at high elevations and until recently had snow drifts covering large sections. Our timing was near perfect as we ran into only a couple of snow patches and the rest of the trail was free and flowy. Syd and Macky went from work mode into full-on fun mode. 25 miles and about 1,000 feet of climbing later we were enjoying burritos at the house. Smiles all around. 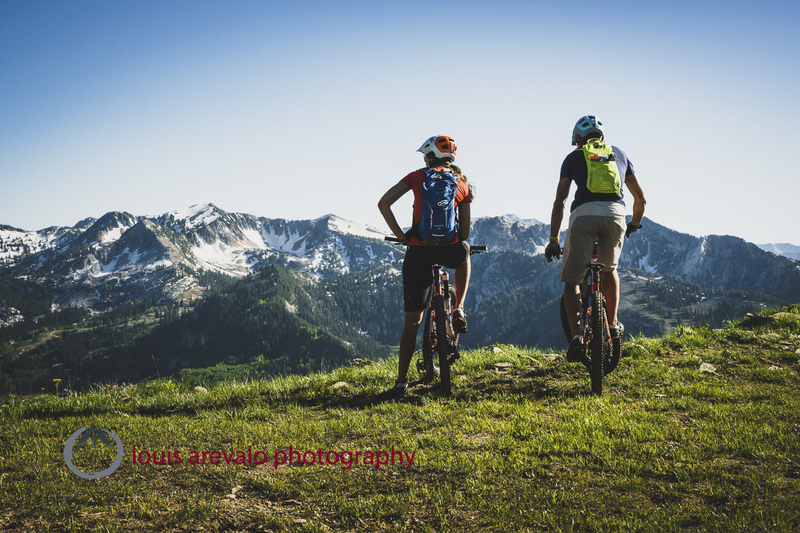 Syd Schulz and Macky Franklin rolling the Wasatch Crest Trail, Utah. Before now I’ve never really given much thought to how things may have turned out had I continued riding my bike like a fiend, but now that I have I’m sure I wouldn’t get to share as many cool experiences with great people doing amazing things in wild and wide open spaces.One more note on the work ethic of athletes. The day after the Crest ride we hit the trails at Deer Valley for a few hot laps before I set Syd and Macky free to ride at their own pace for an hour or so. They had a videographer to meet that afternoon and were scheduled to shoot some clips for an upcoming edit… Obviously it’s never ending. 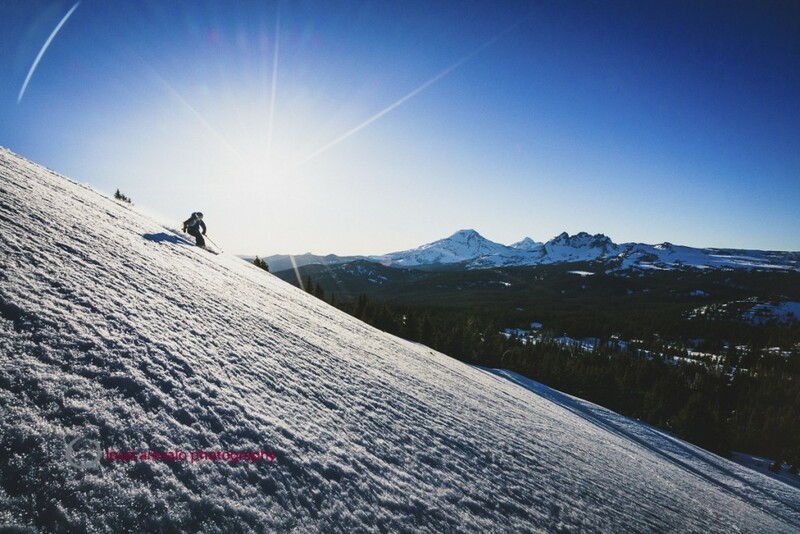 Jacki Arevalo skis springtime corn snow from the summit of Mount Tumalo, Cascade Range, Oregon. At the beginning of May Jacki and I traveled to Bend, Oregon where we rented a small bungalow near downtown. Having been in ski mode since December I’d been struggling with the concept of actually doing other activities. It sounds funny, but by nature I am a one sport focus kind of a guy and only by extreme effort am I able to mix things up. A vacation was the perfect time to help in the transition. 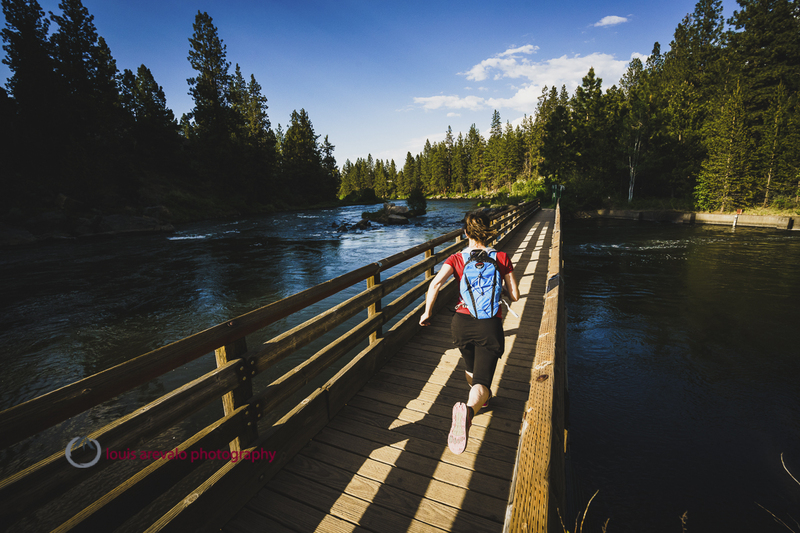 Taking the lead, Jacki orchestrated each day in Bend for a different activity. Tuesday we skied, Wednesday we climbed, Thursday we mountain biked, and Friday we ran. Sounds somewhat busy right? Actually it was the exact opposite. The key was that other than those activities we had nothing else planned. This allowed for plenty of reading, writing, walking, talking, visiting friends, exploring and sleep. 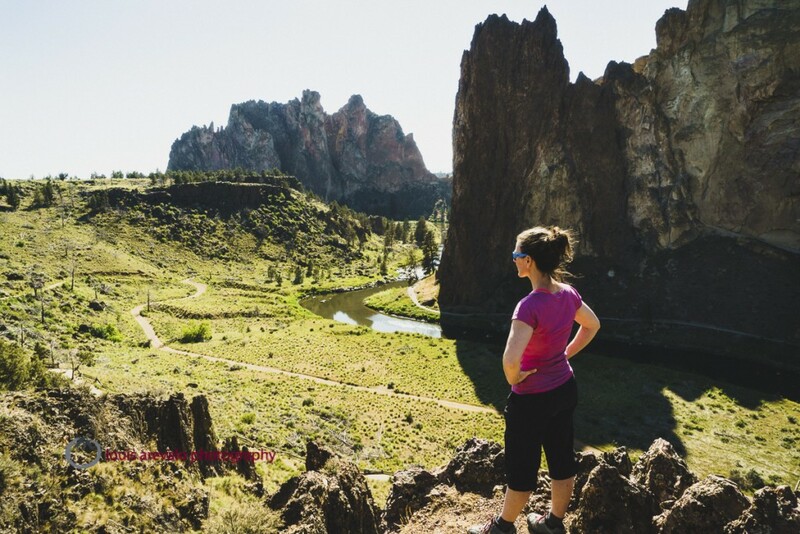 The Crooked River runs through the heart of Smith Rock State Park, Oregon. 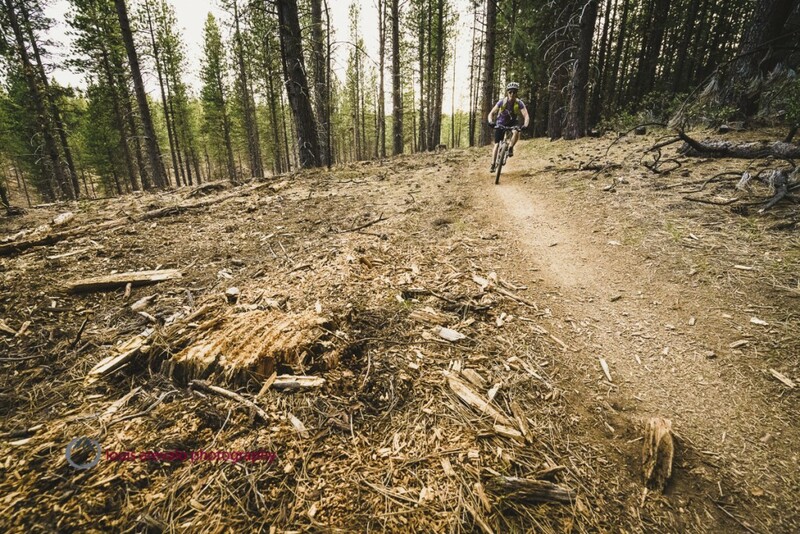 Jacki Arevalo riding the Funner trail near Bend, Oregon. 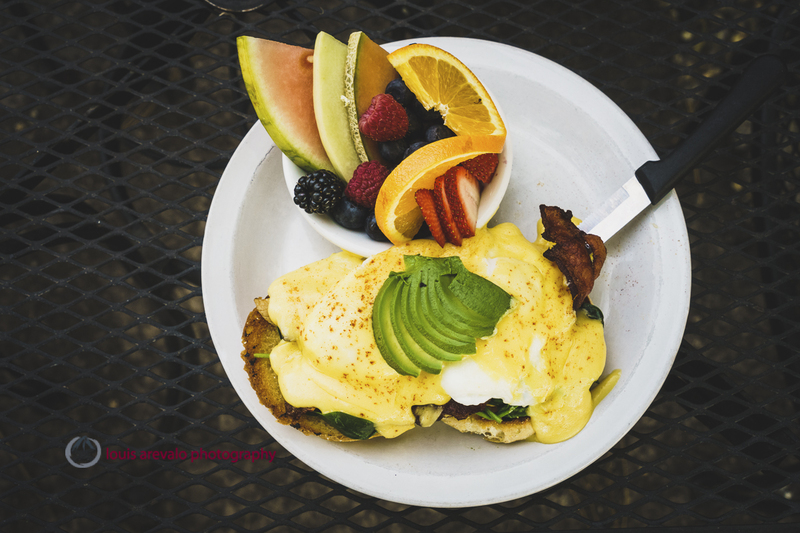 California Benedict. Thinly sliced turkey breast, bacon, spinach and avocado with a bowl of fresh fruit. Victorian Cafe, Bend, Oregon. A woman runs along the boardwalk on the Deschutes River Trail, Bend, Oregon. 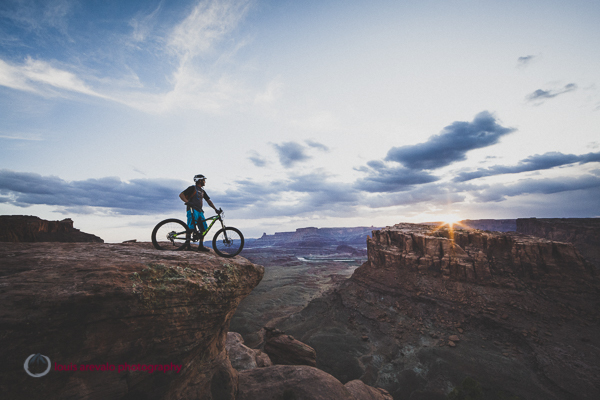 Dane Cronin takes in the view from Captn Ahab Trail, Moab, Utah. It’s not unusual for me to stay in complete ski-mode well into the month of May, but this year was different. By April I was beginning to feel stale on the creative front and the fact that we had such a low snow year in the Wasatch Mountains I was looking for something new to focus on. 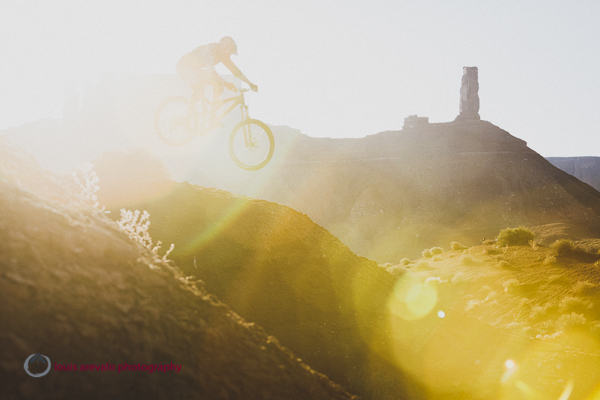 So when my friend and fellow photographer Dane Cronin invited me down to Moab, Utah for a long weekend to create a batch of new biking imagery I didn’t even have to ask about the details, I was in. Ben Duke mountain biking Captn Ahab trail, Moab, Utah. I waved farewell to wintery peaks of granite, limestone and shale and said hello to towers, walls and buttes of sandstone. Gone were the snow-covered slopes and glades of pine. They were replaced by dirt, water, and rock. Instead of sliding over a frozen surface we pedaled our knobby tires over waves of stone, along narrow trails and through rust colored talus cones peppered by twisted junipers and the faded green of sage. All beneath a tumultuous sky. 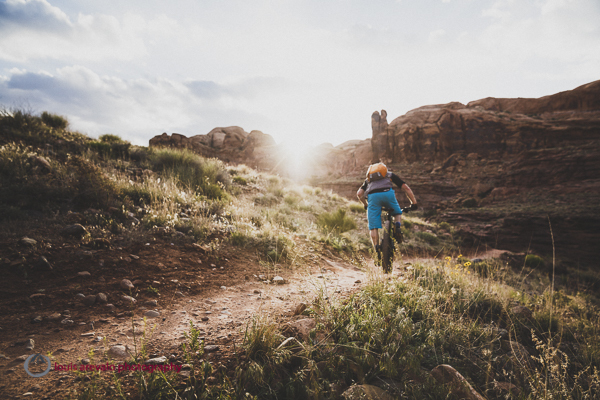 Dane Cronin riding HyMasa Trail, Moab, Utah. Halfway though our third day, while waiting out a slight drizzle, I noted the vibrancy of the blooming cacti, penstemons and paintbrush opening their petals to the drops of rain. Spring had brought a new season of growth to the desert and to me as well. Snack time at the Slick Rock Trailhead. Dane Cronin and Ben Duke take a break between rides. 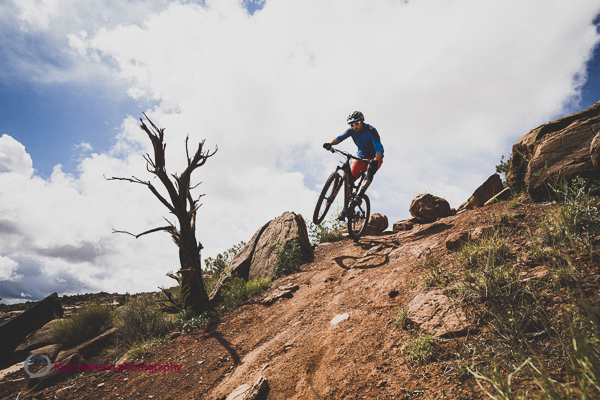 Ben Duke riding near Castle Valley, Utah. Who really wants to make the Wasatch one massive ski resort? 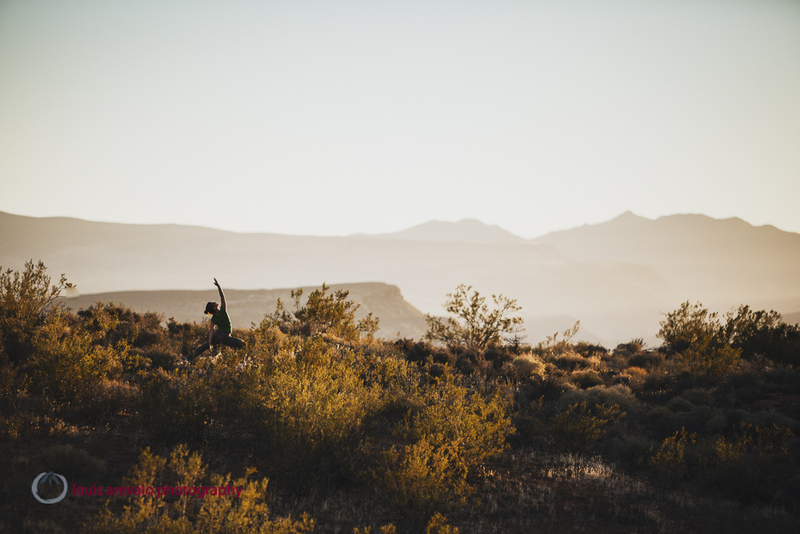 A version of this article first appeared in the pages of the Utah Adventure Journal and again online for Backcountry Magazine. 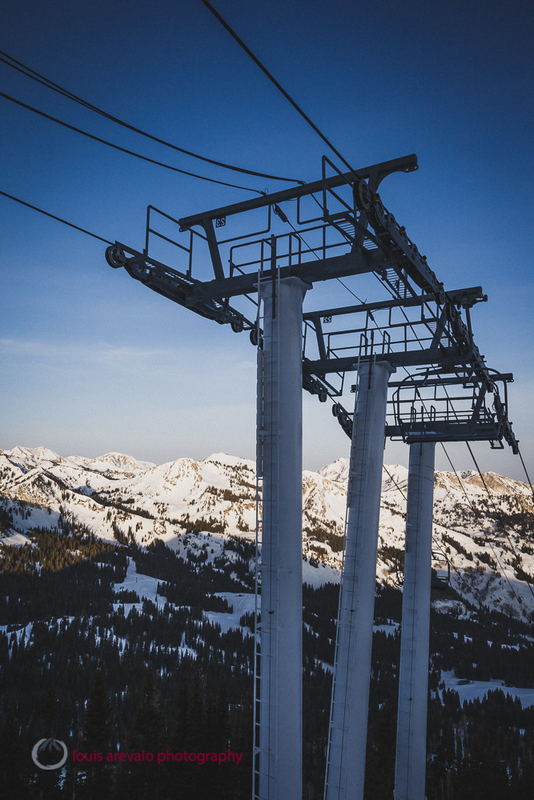 A ski lift frames the central Wasatch Mountains, Utah. “Who wants this expansion?” Salt Laker, physician and photographer Howie Garber wondered aloud. He was talking about Ski Utah’s March announcement of their intention to make lift connections that would enable a person to ski all seven Central Wasatch resorts in a single day. They’re calling it One Wasatch, and claim the process will occur through a collaborative effort representing the federal, state, city, county, business and private sectors, all part of Utah’s Mountain Accord process, a regional planning effort. And the map highlighting possible connection zones shows three that stir conflict with backcountry users. Howie’s been active in local preservation efforts for more than 30 years, so I stopped by his place to get his read on the concept. Sighting the Wasatch Canyons Tomorrow 2010 survey in which locals gave input on future development in the canyons of the central Wasatch, he continued: “Ninety-four percent of citizens support limiting resort expansions…. 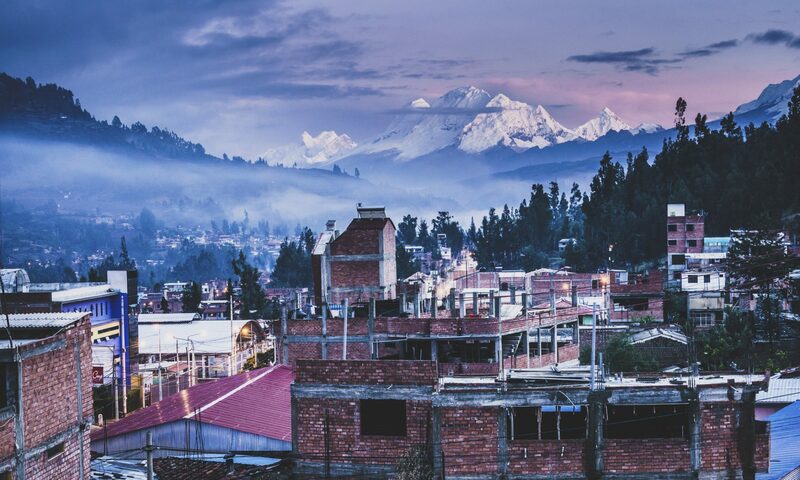 When do local populations get an opportunity to determine how much takes place in their backyard?” He was right, and I needed to find out more. 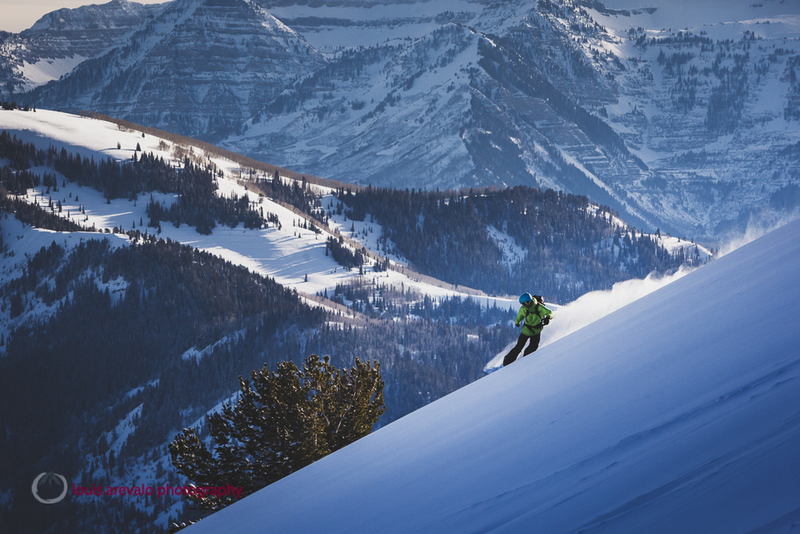 Personally I love both resort and backcountry skiing, but more development makes me cringe. Open space simply seems more valuable to me. But it’s not just up to me. I got Ski Utah’s Nathan Rafferty on the phone to answer Howie’s first question, who wants this? Nathan pointed to Utah’s tourism industry. He said that, by creating this unique skier experience “unlike anything in North America”, he, along with the areas’ GMs, believes it will grow tourist dollars, which would benefit the state’s economy. I asked about backcountry users, and he acknowledged the value of both in- and out-of-bounds skiing experiences. He assured me that this concept would not make that go away: there are no plans for lodges, parking lots or other developments. “Chairlifts and ski runs only,” he said. To me, the connection from Alta to Solitude—the Grizzly Gulch to Twin Lakes Pass area—will raise the most objections. It’s popular among backcountry users but also one of my “go-to” places as a photographer. Converting it and other zones to inbounds terrain would not only cut away from the backcountry, it would impact my wallet. 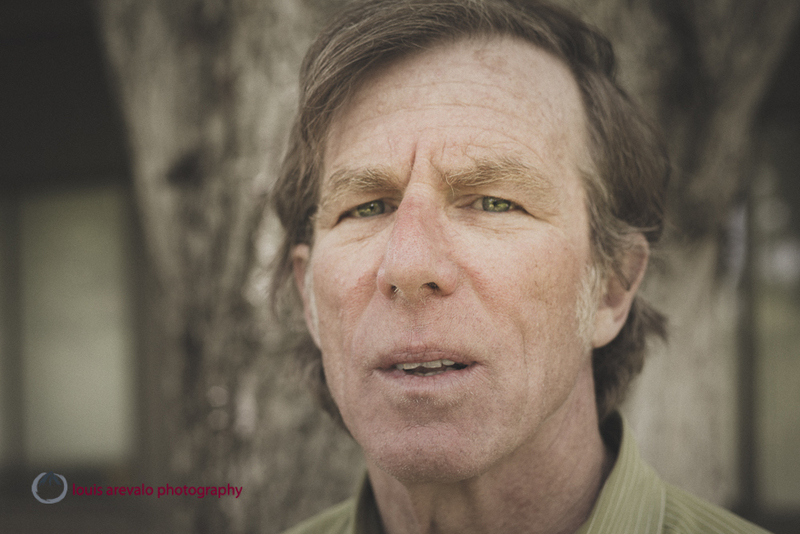 Carl Fisher, director of Save Our Canyons, is also against the One Wasatch Concept. “We’ve received over a thousand comments since One Wasatch was announced,” Carl said. “Even out-of-state visitors say it will ruin why they come; which is easily accessed resorts and easily accessed backcountry.” He believes skier days in Utah are on the rise due to increased backcountry use, and thinks that the plans wont even make it through the Mountain Accord process. The Mountain Accord is Utah’s effort to develop a planning blue print for the Central Wasatch that includes federal agencies, local governments, businesses and organizations with a huge public component. 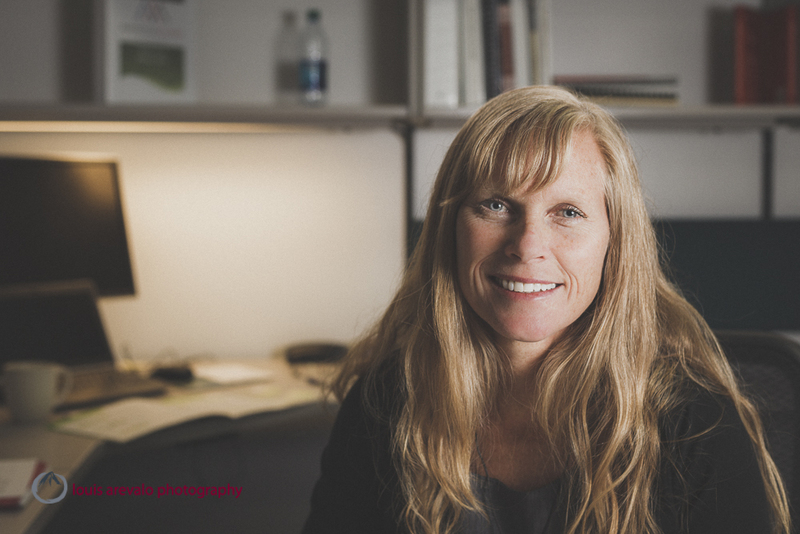 “When are you going to write an article about the Mountain Accord?” The Accord’s program director Laynee Jones had caught me caught off guard. As I stammered she continued, “We have the decision makers at the table. It’s a real powerhouse and they’re here to find solutions and willing to compromise. 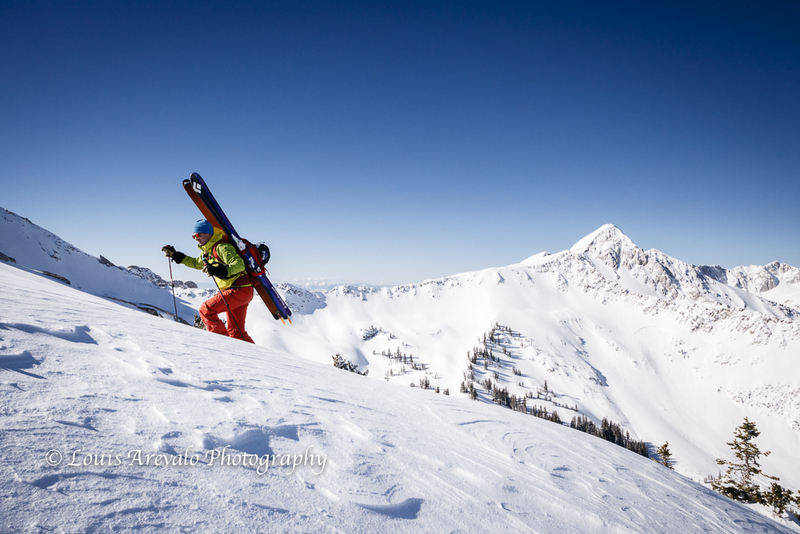 The ski areas are just one part of the equation in the future of the Wasatch.” She had a point. Through the Mountain Accord Laynee sees an opportunity to do something remarkable that could preserve the Central Wasatch for generations. They are currently developing blueprints in the four systems groups of transportation, economics, recreation and environment. Each group has been tasked with coming up with an idealized scenario, which then will be brought to the board where a consensus will have to be met before it can be approved. She suggested One Wasatch could be part of a proposed scenario, possibly coming from the economic group. Knowing the resorts’ desires to expand will not go away, Peter has given some thought to an arrangement. Speculating that if these connections were worked through the Mountain Accord Peter shared a possible scenario. “Approval of the interconnect as part of a much larger Wasatch agreement would include the following: a route that was the least impactful to the existing Wasatch backcountry ski experience, minimal & defined prepared piste on the sides of the lifts, guaranteed access to backcountry skiers of the linked zones, full support of the expanded Matheson Wasatch Wilderness Bill, a giving up of all future development rights via conservation easements on all private lands surrounding the new lifts, and binding agreements between the ski areas and the forest service to never expand the ski areas beyond their current boundaries.” This wasn’t the resounding objection on all fronts I imagined Peter to give on ski area expansion in the canyons. After letting this seep into my brain I began to understand how this concept and any other development might be handled. When I shared Peter’s scenario with Nathan, he agreed that if One Wasatch were to become a reality, compromises would have to be made. 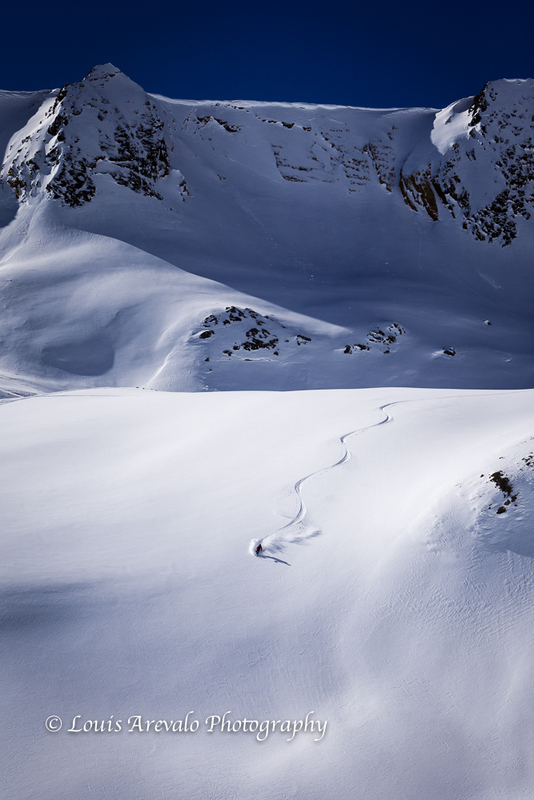 “[Ski Utah] can’t have this conversation without putting something on the table,” Nathan said. And while he’s excited about One Wasatch he admits that it’s a complicated idea. There are, after all, seven areas with seven separate owners, he reminded me, and each link would have its own issues. Eventually, I was back where I began, talking with Howie.“The bottom line, Louie, is that it’s about the preservation of powder skiing,” he said, “which I truly believe is a dwindling natural resource!” We both laughed, but Howie was serious. 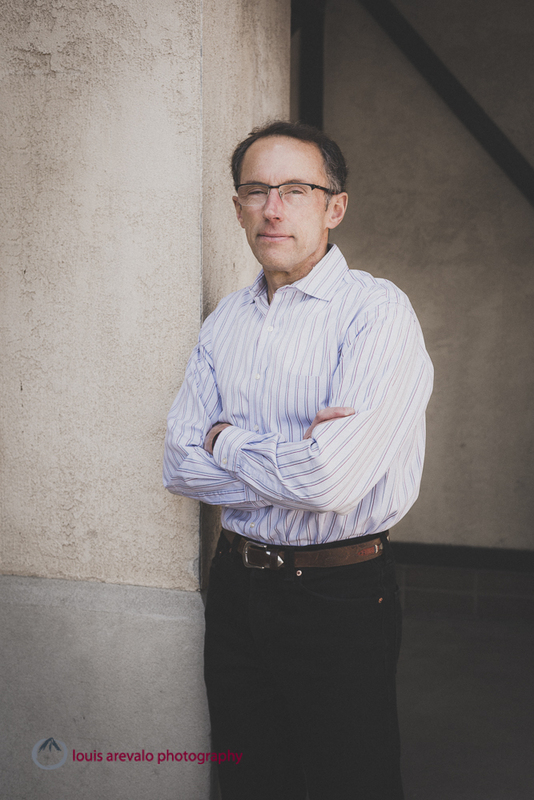 For him it’s preservation, for Ski Utah it’s about growing the economy. Is it possible to do both? 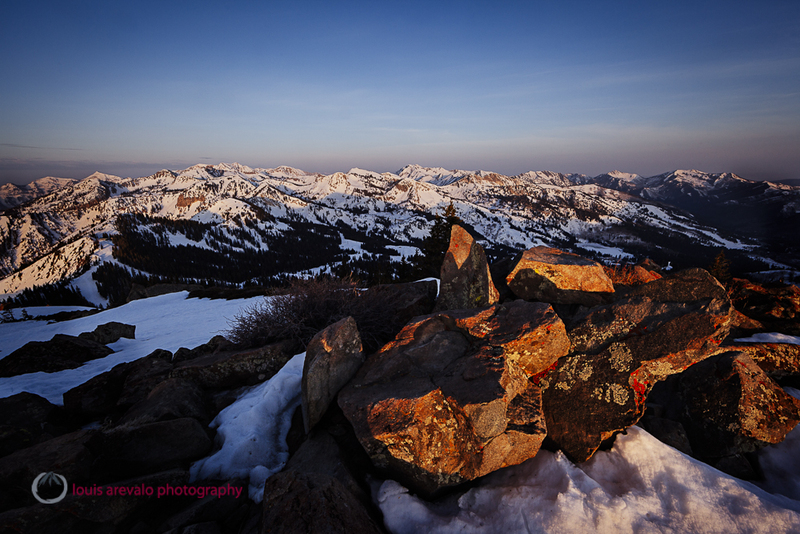 The central Wasatch Mountains from Clayton Peak, Utah. To find out more about One Wasatch and stakeholder counter arguments, visit TK, TK, TK. “Truth is a point of view, but authenticity can’t be faked.” Peter Guber. I have always wanted to share stories. In school I chose journalism as my focus, but the idea of becoming a copy editor at the local paper was unappealing so I embraced blue-collar work and played as hard as I could. For ten years I bumped along occasionally having a story or essay published, but mainly just struggled to find my voice. During this time I would consume periodicals and throw them to the recycling bin in disappointment. While there were a few writers and magazines that totally blew me away the majority of what was read felt disingenuous. I craved and still crave things that are genuine. Anything that resonates or connects with me is a winner. We could all use more honesty in our lives. I totally agree with the quote above. Although my work fluctuates at times in its truth the pursuit of the authentic is what motivates me to continually improve my writing and photography. 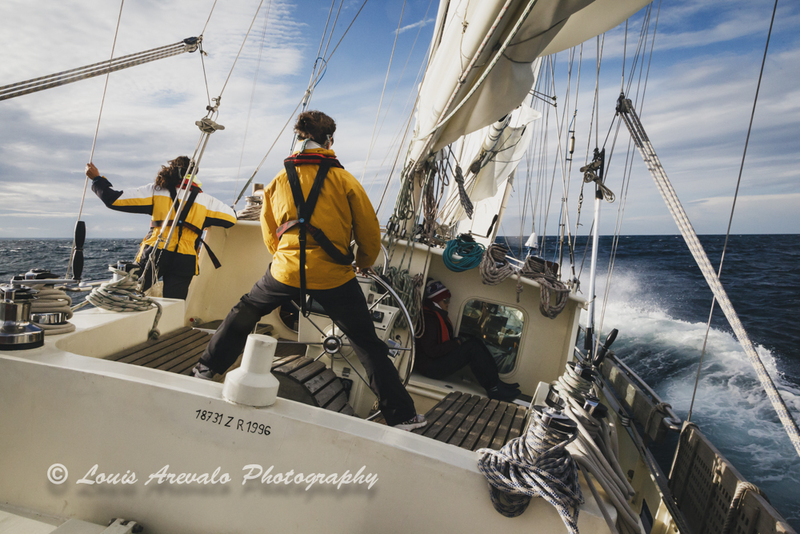 Setting sail in the North Sea onboard the Anne Margaretha. 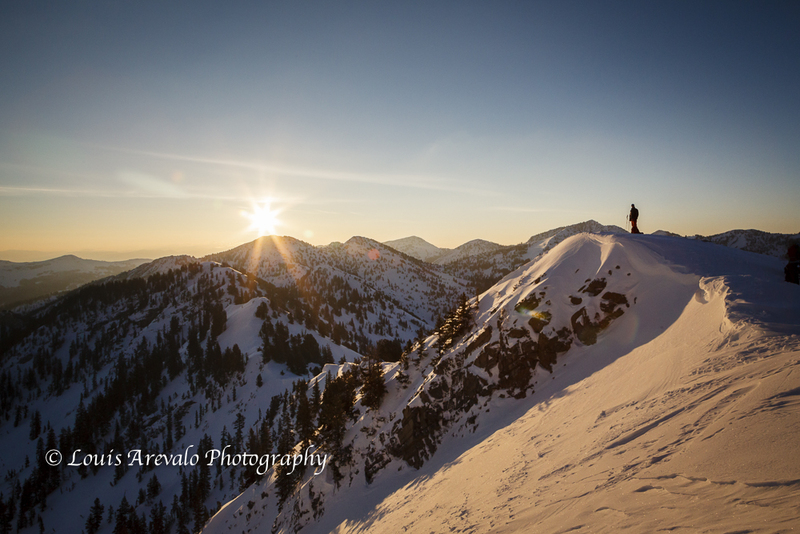 Zach Grant exploring the wintery Wasatch Range. My wife asked while skinning up a winter trail in the Wasatch Mountains. As she passed through the arch of an aspen tree that bent over the track I paused. A wave of snow clung to the trunk’s upside only inches wide and at least twelve inches tall and serpentined the entire length of the arch. Its position on the tree defied gravity and the sun. 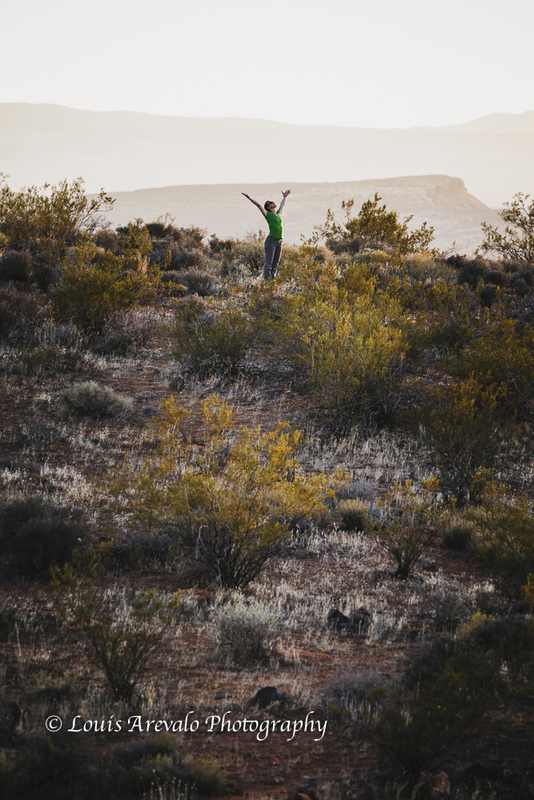 Jacki Arevalo during a post climbing yoga practice, Red Cliffs Desert Reserve. I wouldn’t describe my youth as happy. In fact, looking back it was a very tumultuous time filled with angst and bad choices. My twenties were mainly a dark depression that to this day still tugs at me from the shadows. When my wife asked me that question I had an answer. 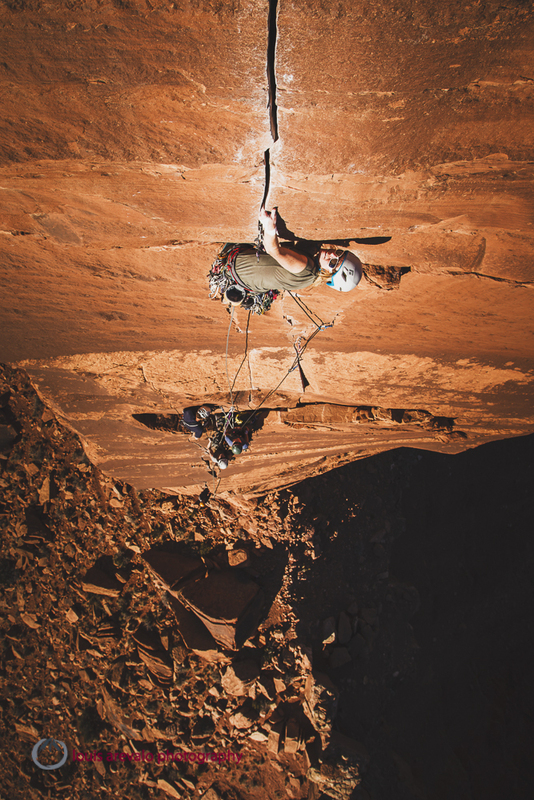 Jewell Lund takes on the crux of Fine Jade, Castle Valley. My wife shuffled ahead entering a stand of snow flocked spruce trees. 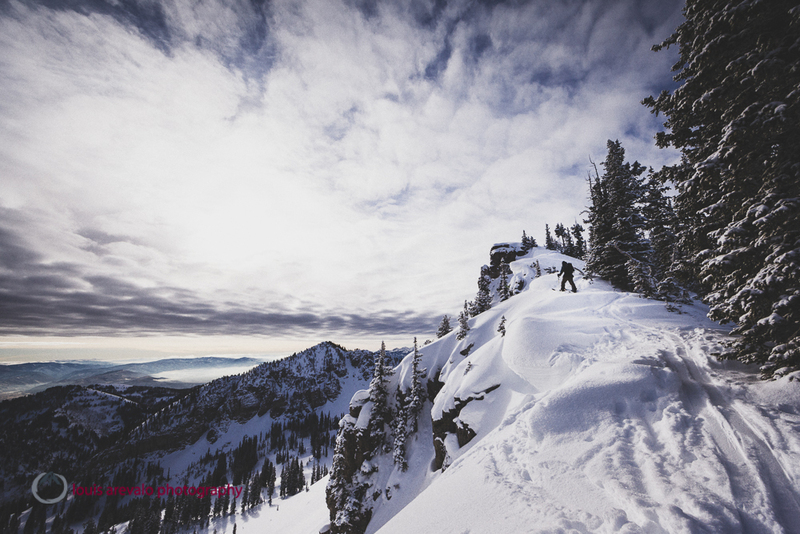 Zach Grant snowboarding deep in the Wasatch Mountains. One kick turn after the other we switched-backed up a ridge passing the gnarled and twisted bodies of dead limber pines. 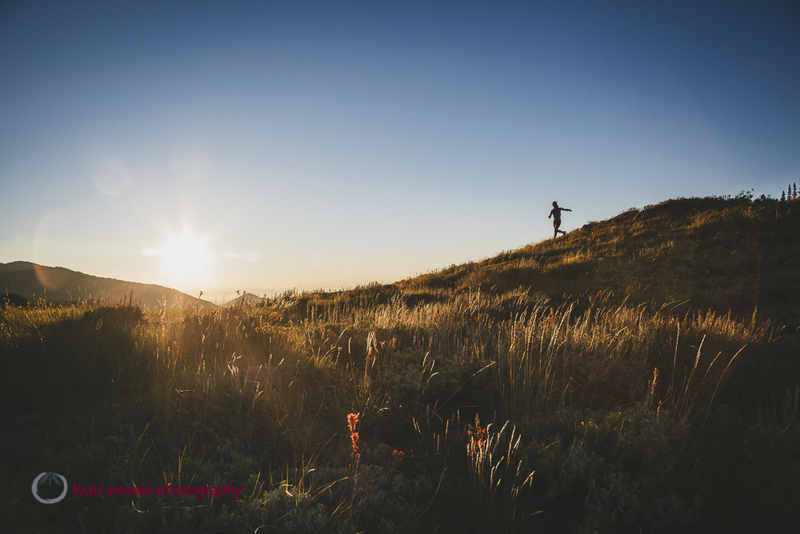 Jenny Powers chasing the sun along the crest of the Wasatch Range. At the crest we quickly transitioned; skins ripped from skis, jackets, gloves and goggles on, we were ready to ski. 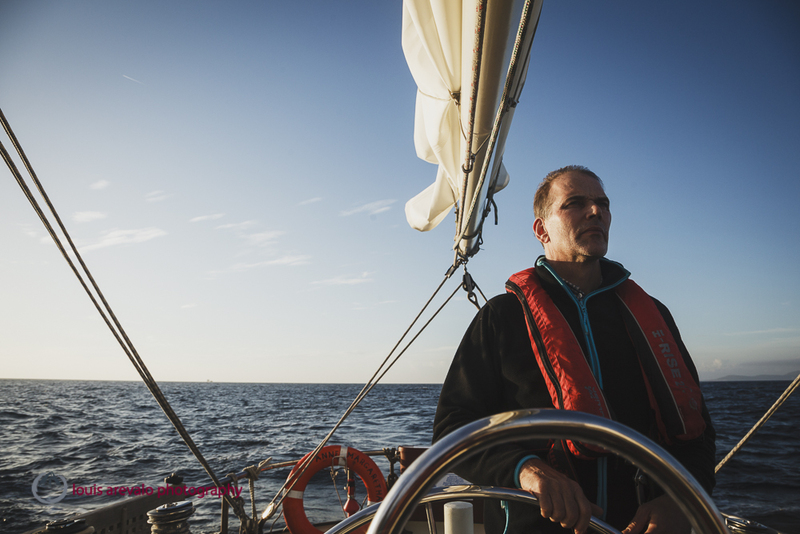 Hans Koomen navigates the Bay of Biscay on the Anne Margaretha. “Do you remember the bent aspen tree we walked though down below? How the snow was still hanging onto it?” I asked. 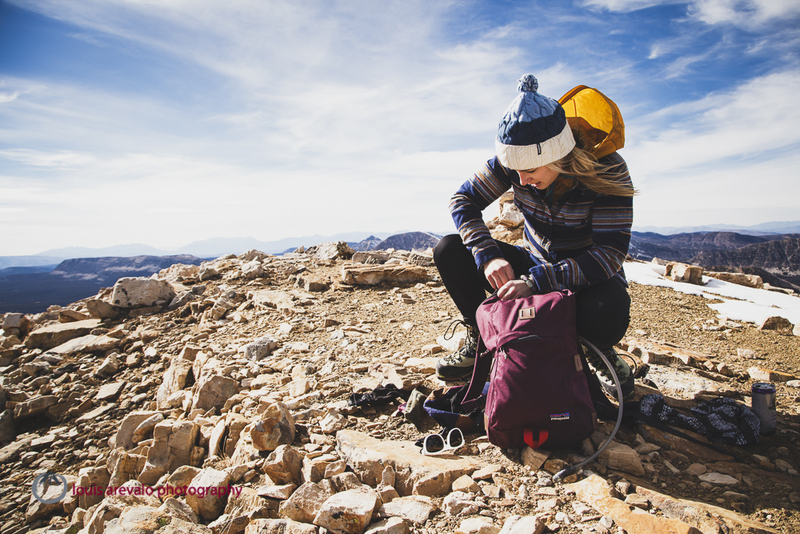 Caroline Gleich on the summit of Reids Peak, Uintah Mountains. My passion is sharing the outdoor life. Twelve memories from the twelve months of 2014. What do you recall? January: Sunset session in upper LIttle Cottonwood Canyon. Reconnecting with Quigley. February: Traveling north I found myself falling in love with the Canadian Rockies and Icefall Lodge. Sunshine for days, cold temperatures and skiable terrain for as far as the eye can see. Florian Jungen trying to teach me how to wiggle. March: Absence makes the heart grow fonder. On the road from the end of January until the beginning of March I was excited to get back to the Wasatch, family and friends. The always willing Chris Smith living it up in the mountains above Salt Lake City. April: I have never regretted getting up for sunrise. Chris Smith shows me a proper Wasatch Sunrise. May: Not quite ready to let the snow go we traveled north to the Tetons finding longer approaches and bigger objectives are worth the effort. June: I finally succumb to the season. 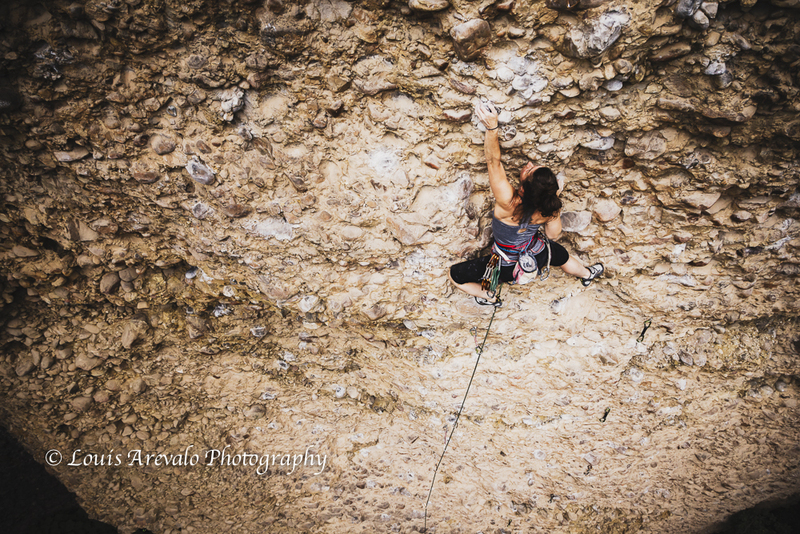 Transitioning back into the vertical realm is a slow process, luckily I have friends to help hang the rope. 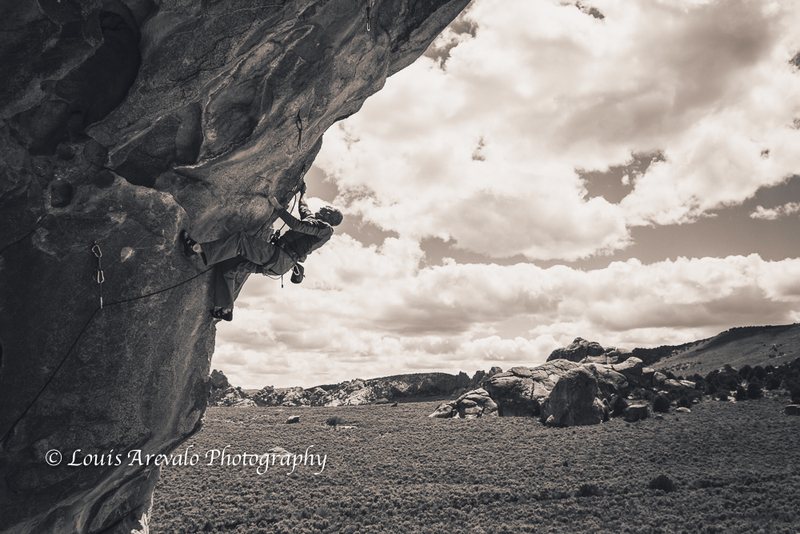 Paul Shilton gets steep in the City of Rocks. July: The summer heat has chased us into the otherworldly narrows of Maple Canyon. I once thought there wasn’t much to photograph here… I was wrong. Jacki shows me how it’s done. August: Third generation Utahn, World War II veteran, widower, neighbor, friend. 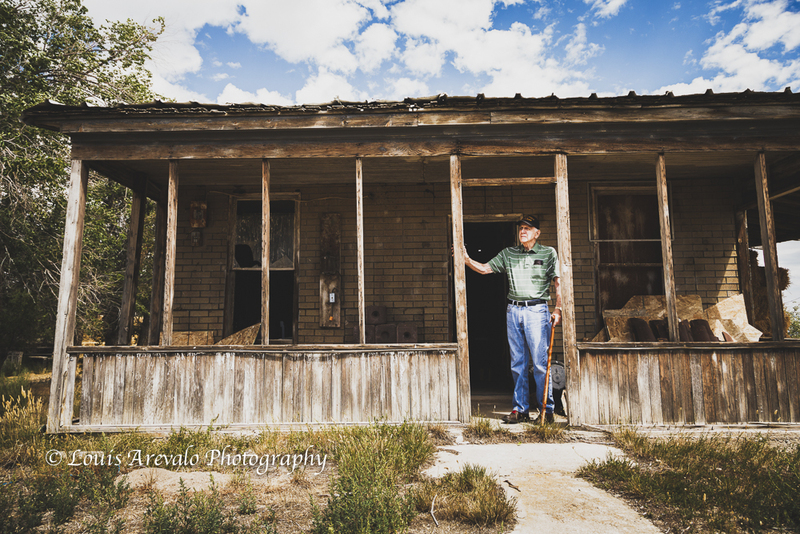 Edwin “Ted” Olson gave me a tour of his families centennial farm and the house he lived in as a child in Vernon, Utah. September: New experiences feed me. Having lived on solid land my entire life I decided to sail from the North Sea to Lisbon, Portugal. Leaving the final lock from the North Sea Canal in Holland the Anne Margaretha enters the North Sea at days end. October: You are usually in control when climbing, but when the rappel anchors for the only way down are star driven expansion nails from 1973…I don’t think so. November: Making images of yoga has never been a profitable endeavor, but man… I can’t help myself from creating more. December: Once again winter returned to the Wasatch Mountains. Staying open to possibility provided another unforgettable sunrise. 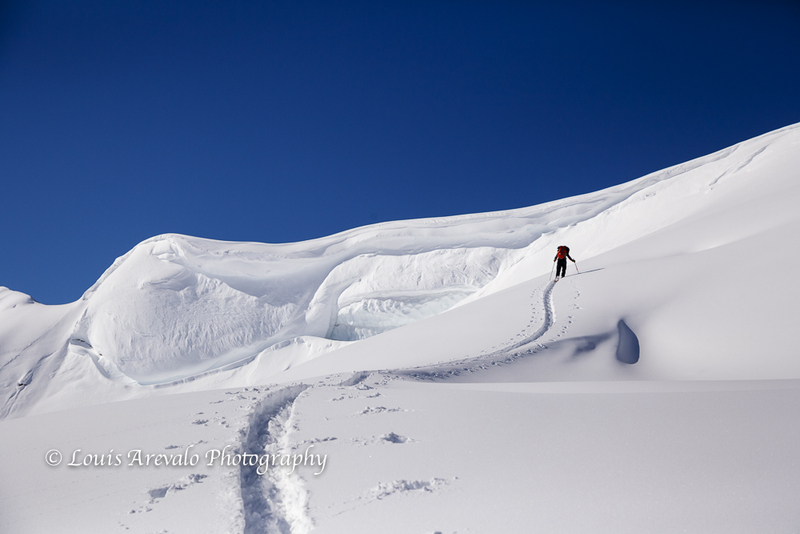 Caroline Gleich and Rob Lea hike the east ridge of Mt Superior. Thoughts on the Outdoor Life. 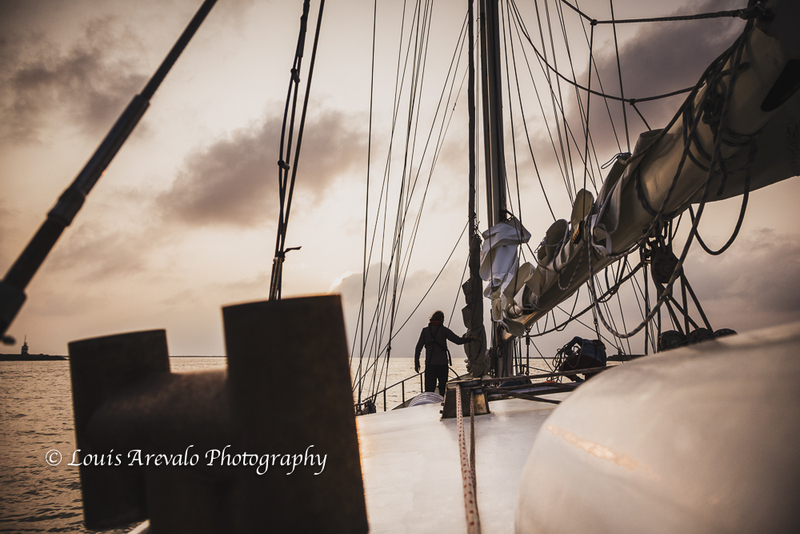 Heading into the storm on the Anne Margaretha. At the beginning of the year I was asked to write about my work and how it corresponds to adventure by my agency Tandem Stock to go along with their new book “The Art of Adventure, Outdoor Sports from Sea to Summit”, which I am honored to have a handful of images in along with some truly talented folks. As I am sure it’s the same for everyone we all have our reasons and motivations for doing what we do, but being asked to share and clarify these things was a little intimidating. Ultimately the following essay didn’t make the cut, but it was good exercise that helped me focus on what was important. “Thousands of tired, nerve-shaken, over-civilized people are beginning to find out going to the mountains is going home; that wilderness is a necessity…” John Muir. 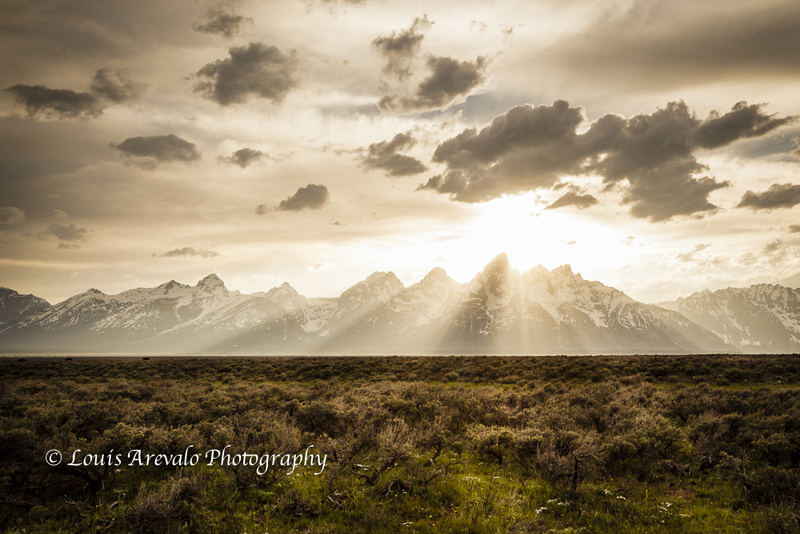 For me, it was a conscious decision to pursue a career as an outdoor writer and photographer. It’s only through getting out, off the beaten path and into nature that I regain the simplicity needed to live a beautiful life. 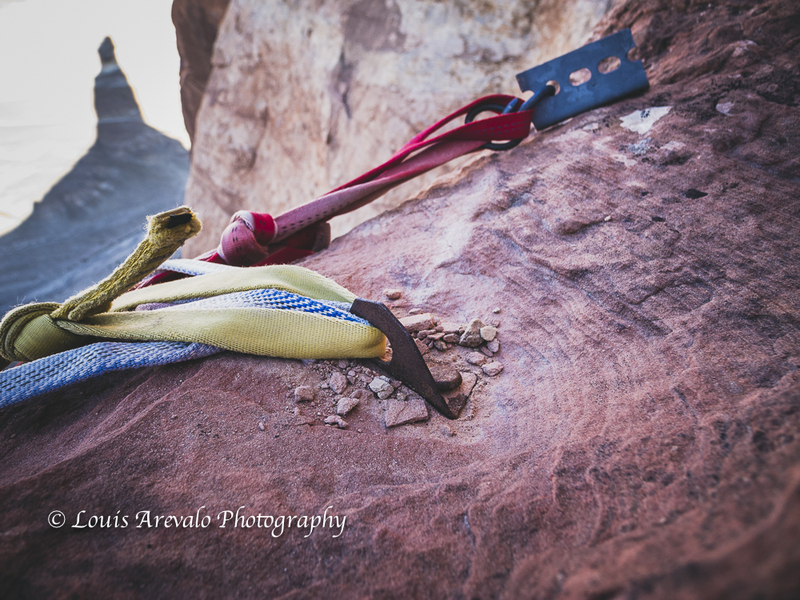 The focus of my writing and photography is to make something honest in the same way that connecting with the outdoors makes me honest. I’m continually striving to generate work that will resonate true to everyone. From the sponsored athlete to the armchair enthusiast, if they can see a little bit of themselves in the work then it’s a success. It may be an unobtainable objective, but everyday, week, month and year, as soon as I have revised the last draft or edited the last image on a project I always see room for more authenticity in the work. The desire for this truth, that we all are connected, drives me to go out and produce more. I’ve been wandering through forests, mountains, rivers and deserts for most of my life. I’ve climbed, skied, boated, swam, surfed, biked, loved, hated, and slept outdoors. Through all of these escapades I’ve found the most enjoyment in doing them with those who have the same passion and sharing them with everyone attempting to have an outdoor life. 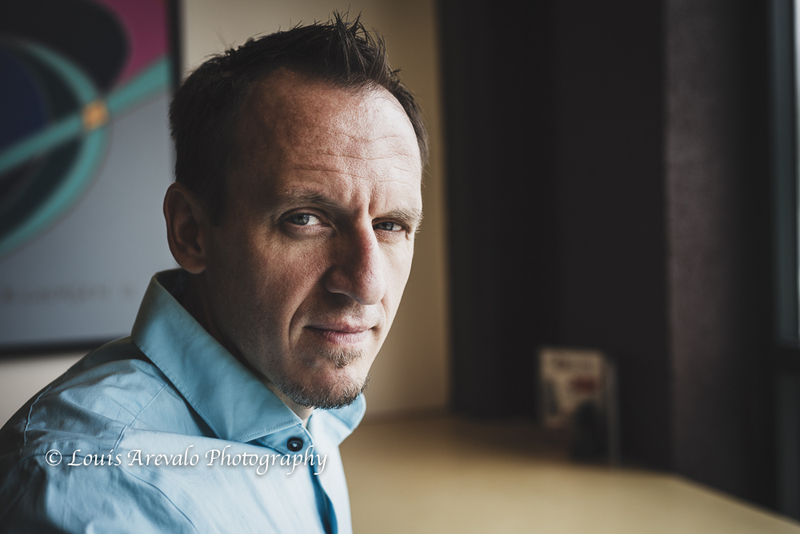 No Worse… Thoughts on photographing people. 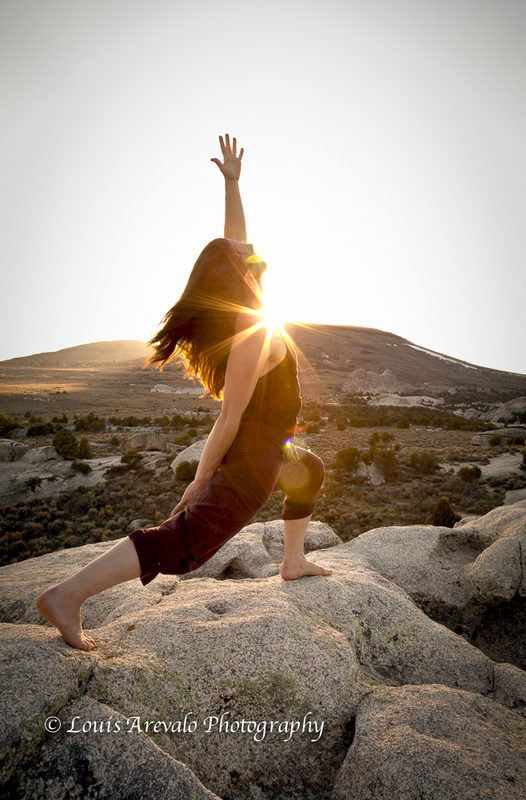 Yoga, City of Rocks, Idaho. A few years back I attended a presentation by Dave Stoecklein. (If you are not familiar with his work you should check it out.) As a photographer of western lifestyle Dave has thousands of authentic images of people living their country ways. Wrangler jeans to handlebar mustaches he’s got images of beautiful people and full-on characters. Somewhere in the presentation the subject of model releases came up and he pulled up a slide of a “photographer agreement” that he had been asked to sign by some the folks at a ranch he was shooting. It was humorous, something about not making them look any dirtier or more ugly than they already were. Once the laughter quieted Dave explained. As a photographer you have a responsibility to represent the people you are shooting in the correct light. Most if not all of the folks he shoots are real-life ranchers, cowboys, cowgirls, horse people, etc. Being allowed into their lives he explained it would be in poor taste to show the awkward images that are part of the job. (We’re talking about the shots where their eyes are closed, mouth mid-word, weird stride, or the stuff between that makes you look off. He wasn’t talking humor.) For Dave it’s about building trust. 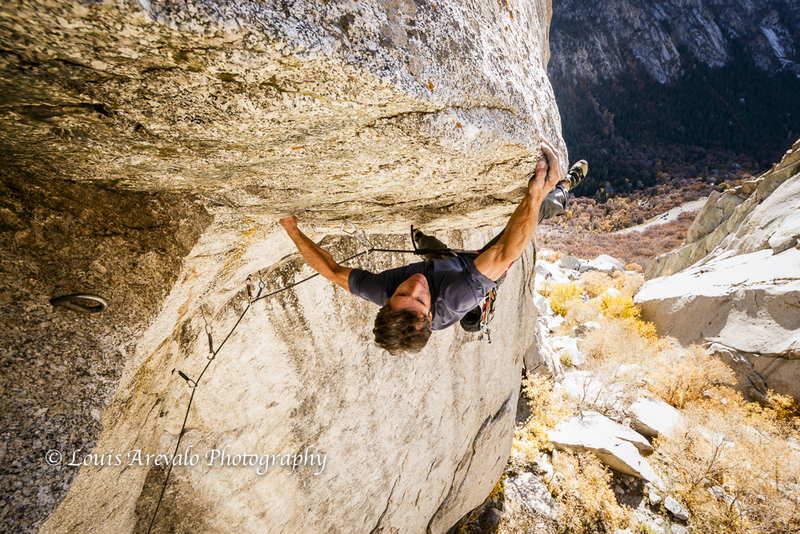 Mike Kaserman climbs Center Trinity, LIttle Cottonwood Canyon, Utah. This is a subjective guideline, but it’s something I constantly consider in my work. From portraits to skiing I recall Dave and try not to make anyone look any worse than they really are. 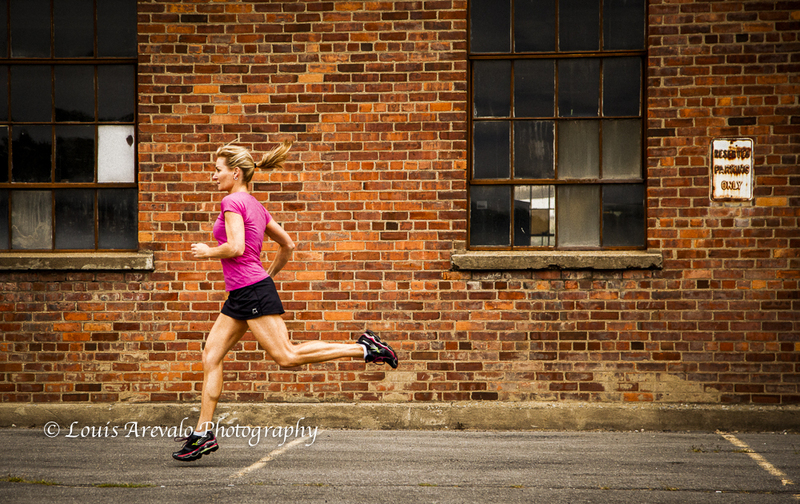 Story Von Holzhausen running in Plattsburgh, NY. 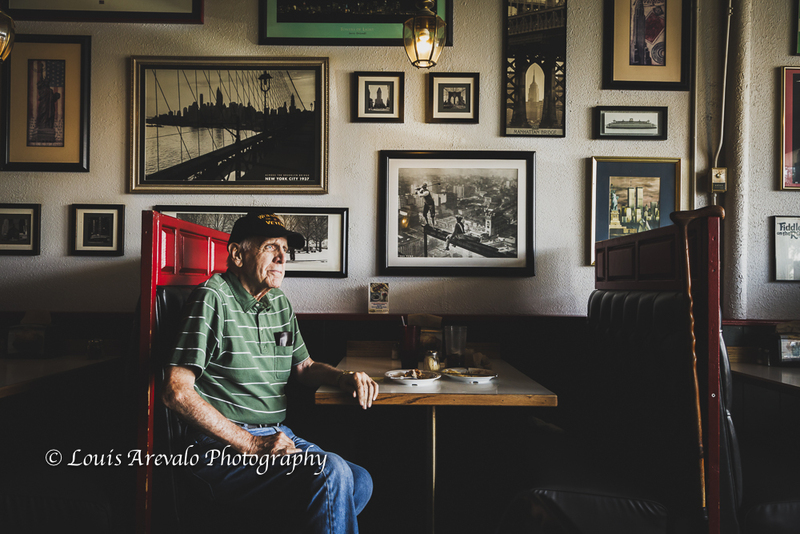 WWII Vet, Ted Olson, wraps up lunch at Big Apple Pizza, Salt Lake City, Utah. Amanda Fox practices yoga in Chatauqua Park, Boulder, CO.
Bryon Weddell makes his way toward the summit of Mount Kemmell, British Columbia. 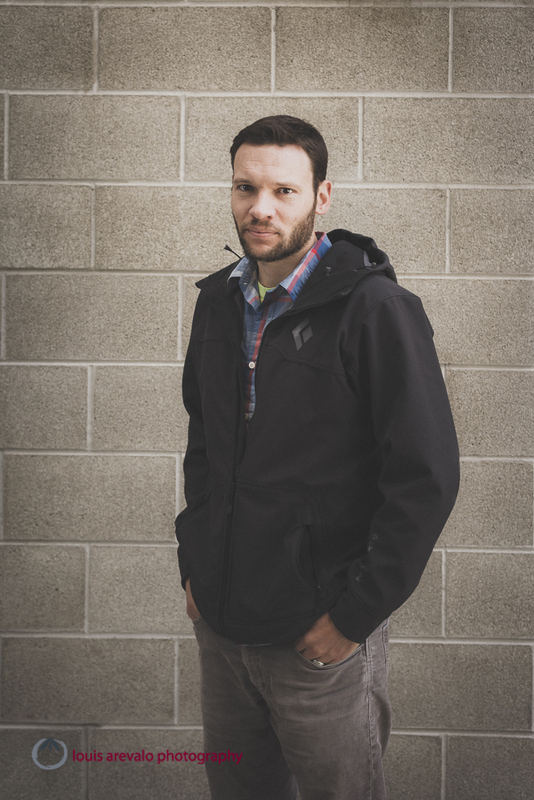 The semi-annual Outdoor Retailer show is in Salt Lake this week. This signals one of my least favorite things about my work… Self promotion. While the show offers me a huge opportunity to meet new people and stay connected with ones I already know it does feel a bit daunting at times. Putting myself out there is completely out of my comfort zone. For this show I will just imagine it’s another day in the mountains, taking one step at a time, slowly, slowly getting closer to the distant summit.